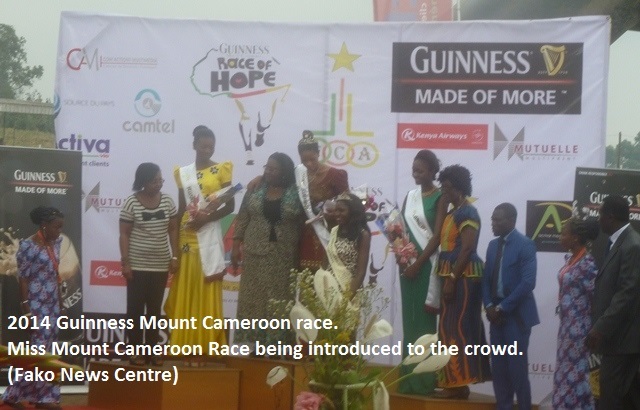 The population of Buea and visitors to the town welcomed back the Guinness Brewery Corporation in the running and sponsorship of the mount Cameroon race. 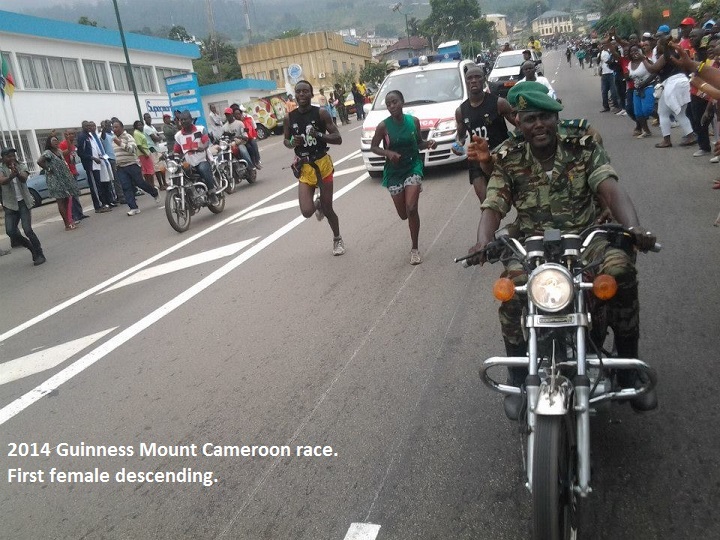 Buea had in the past weeks been having the ‘feel good factor’ of the mountain race as it used to be when Guinness organised it in the seventies, eighties and early nineties. 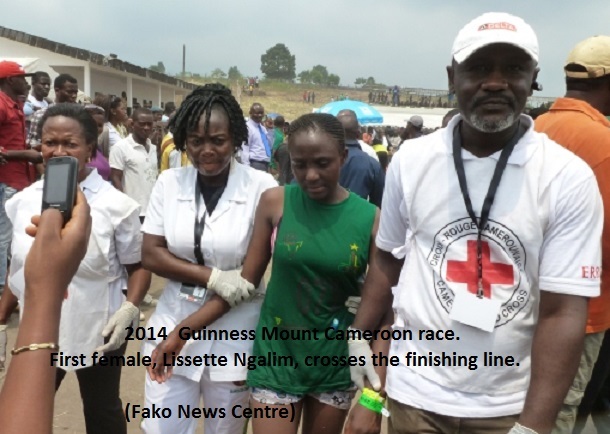 With Guinness raising the winner’s prize to 10,000,000 (ten million) frs cfa per senior male and female category winner from 3,000,000, the population of Cameroon suspected that new champions would emerge. Ten million frs in Cameroon is no small money, as everyone knows. 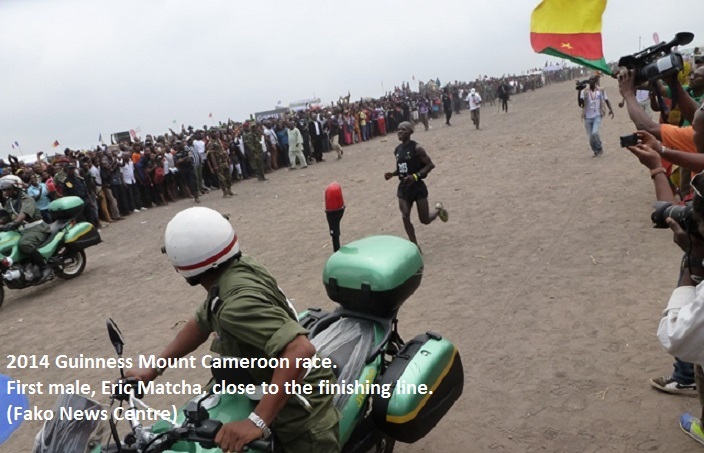 Mountain race enthusiasts from different parts of Cameroon had converged on Buea days before the race, adding to the excitement that Buea generates at this time of the year. 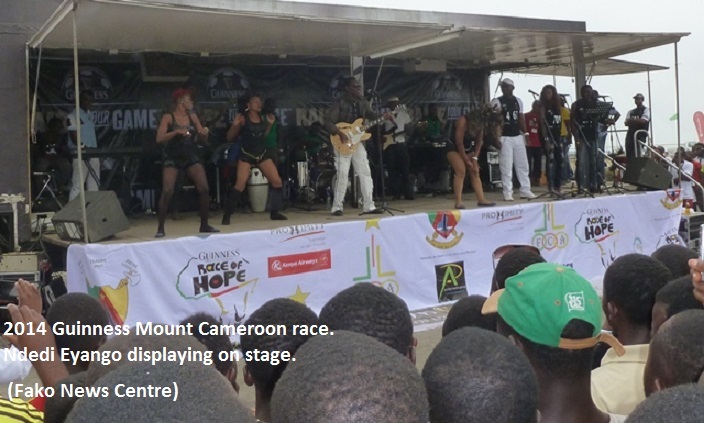 Early in the morning of Saturday 15th of February, spectators lined the streets of Buea from the Molyko stadium to the top end of Upper Farms to witness a new era of the mount Cameroon race organised by Guinness. 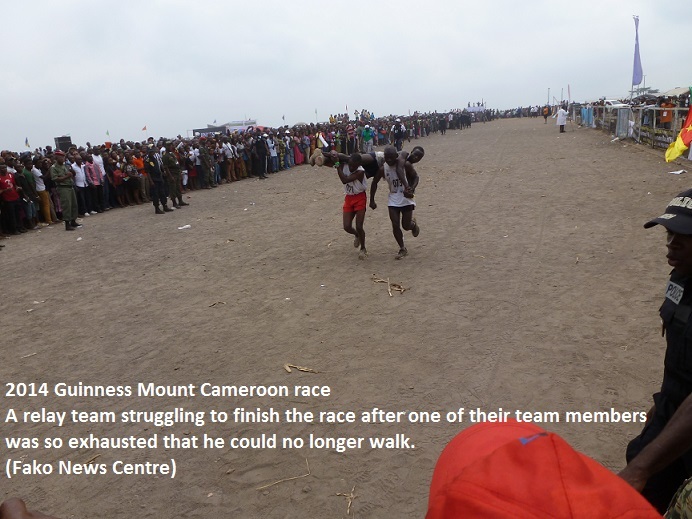 As athletes climbed up the ‘’Buea Central Long Road’’ , that is, the road that stretches from Mile 17 up to the roundabout near BISEC and the main police station, spectators cheered and encouraged them to run even faster. Kenyans were in the lead from early on and it was a Kenyan who first arrived at the summit. As it has happened many times, being first to the summit does not mean the athlete will be first to cross the finishing line after the descent. Those who are old enough can remember what happened in the 1988 Guinness mount Cameroon race; after Timothy Lekunze beat Britain’s Mike Short in 1986 and 1987, Mike Short retired from running the race but brought Jack Maitland(also from Britain) to teach Lekunze a lesson. Jack Maitland took everyone by surprise by breaking Mike Short’s ascent record by seven minutes, arriving at the summit 16 minutes before Lekunze. Everybody thought there was no way out for Lekunze, but Maitland was too slow on the descent and Lekunze overtook him between hut 1 and Upper Farms. Lekunze developed severe blisters by the time he was descending near Upper farms and so did not complete the race, Maitland finished 4th while Reginald Esuka won the race. Maitland won the race the following year (1989). This year, Kenyans arrived at the summit first but found it difficult to descend. Eric Mbatcha from the North West won the men’s race while Lissette Ngalim, also from the North West, won the women’s race. 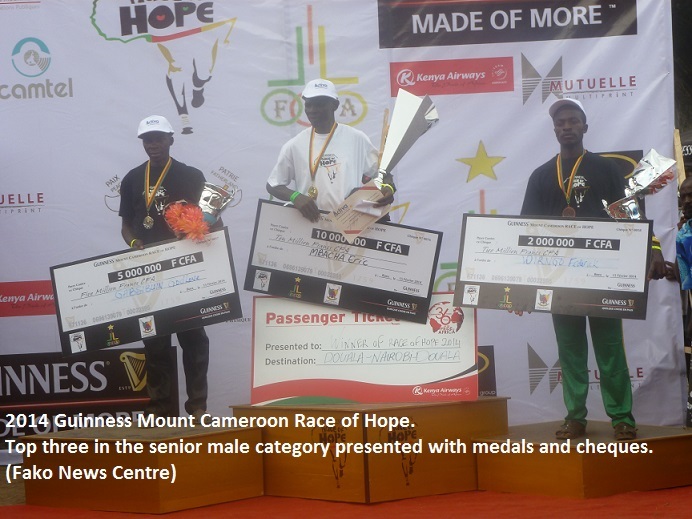 In addition to taking home the sum of FCFA 10,000,000 each for winning this year’s GUINNESS Mount Cameroon Race of Hope, Kenya Airways has handed flight tickets to the champions in the male and female seniors categories to enable them participate in another race in Kenya. Mbatcha Eric Mengeh and Ngalim Lisette N. will have to face another challenge in a race baptised ‘Masters Competition’, in Nairobi, Kenya.The airline company announced while presenting the flight tickets that they will take care of all their travelling expenditures to-and-from Kenya. With the cash prize raised from FCFA 3,000,000 to FCFA 10,000,000, many had expected very good foreign runners to participate in this competition but were disappointed that the few who came from Europe and North America were of very low calibre. 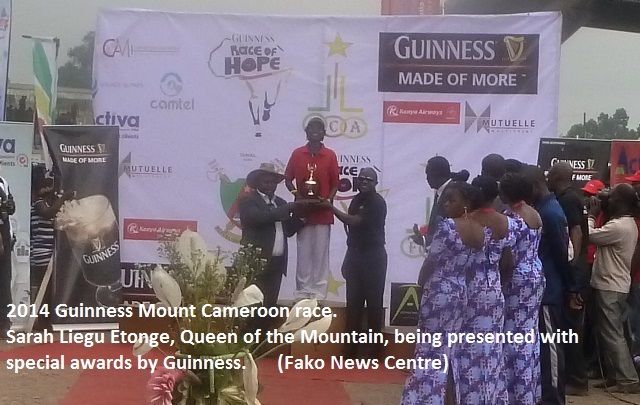 Some people say that Guinness did not want to spoil the party of Cameroonians by bringing the most highly rated international mountain runners this year but that from next year, Cameroonians should expect fierce competition from some excellent foreign runners. Cameroonians will cherish such a rivalry because it will create more excitement as it used to be in the eighties and early nineties. The male winner, Mbatcha Eric Mengeh, was the 2011 edition winner of the race. 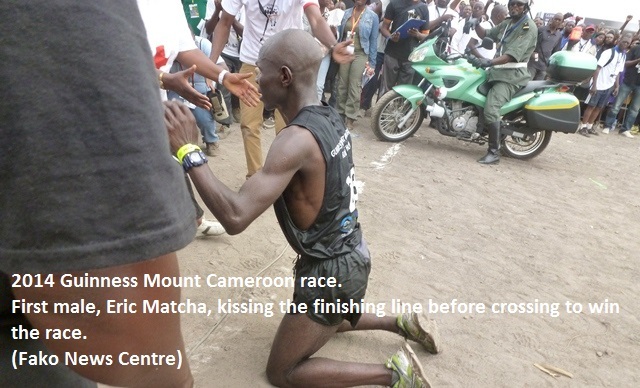 He deprived two times (2012 and 2013) winner, Gabsibiun Godlove, who finished second position in this edition from winning the third conservative time and from becoming the King of Mount Cameroon Race. In the female category, Ngalim Lisette N. who had featured between 2nd and 4th positions in past editions of the race also dispossessed her elder sister and club mate, Yvonne Ngwaya, from winning the 6th conservative time. Yvonne Ngwaya finished second in this edition. 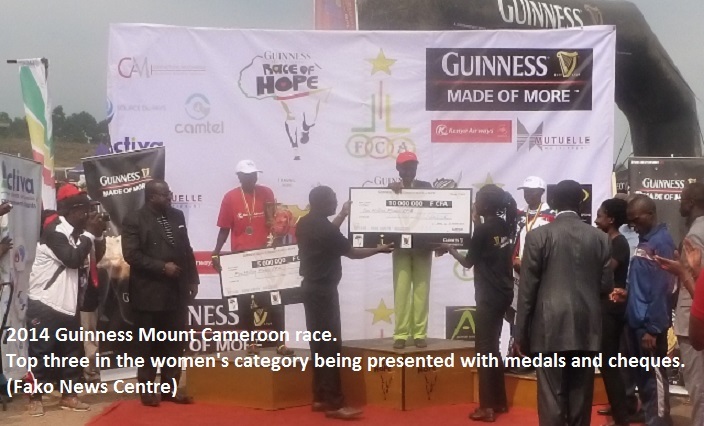 At the age of 50, Queen of Mount Cameroon Race, Sarah Liengu Etonge, still proved her passion for the race that has made her prominent. Though she participated but not feature among the first five ladies, the manager of GUINNESS Cameroon S.A handed over a cheque for FCFA 1,000,000. It took sarah Liengu Etonge more time than ever before to cross the finishing line and the handover of prizes was delayed until her arrival. She was also handed a special trophy for her endurance. Sarah received money even from individuals as gift. 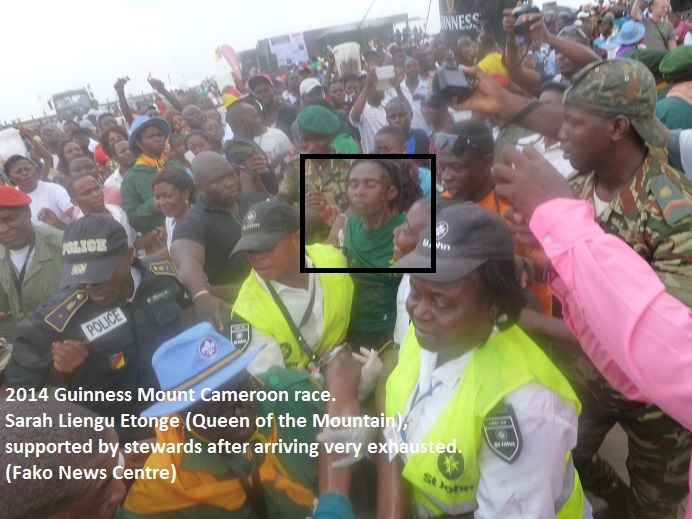 She also received the keys to her retirement home as the Mount Cameroon Race Queen on the eve of the race. This year’s race witnessed lots of site-attraction. 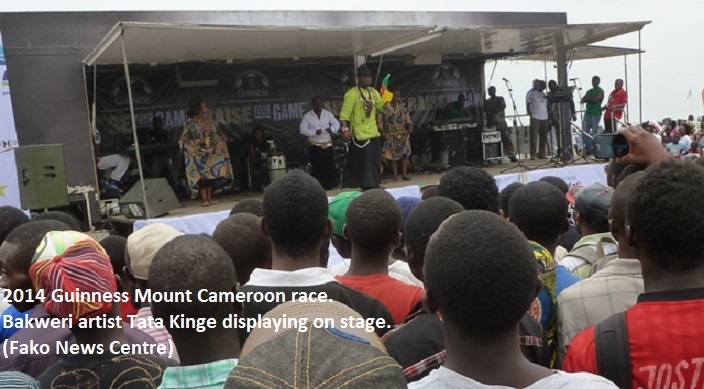 Popular artists like Tata Kinge and Prince Ndedi Eyango took the stage to entertain spectators. Other cultural groups were also present. 1st Position- Ngalim Lisette N.